Original BMW M Mousepad Made in Germany. -Abbildung des BMW M5 und BMW M Logo. - Papier, Plastik mit Antirutsch Beschichtung. - als DHL-Paket. weitere Informationen. Weitere Hinweise. Das könnte Sie auch interessieren. Neu und sehr selten. Für Sammler und Fans. 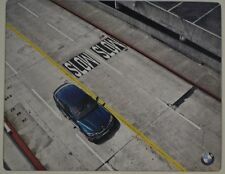 BMW neue echte M Sport Collection Mausunterlage 80282454746. Diese hat abgerundete Kanten, Papier, Kunststoff mit Anti-Rutsch-Beschichtung. MPN 80282454746. 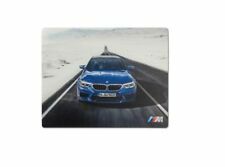 BMW New Genuine M Sport Collection Mouse Pad Mat 80282454746. Made in Germany. 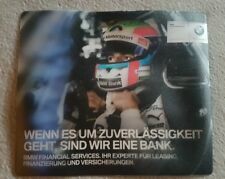 - Abbildung des BMW M5 und BMW M Logo. Papier, Plastik mit Antirutsch-Beschichtung. - Abgerundete Kanten. Original BMW Mauspad X6. Wir führen für alle BMW / MINI Fahrzeuge Original Verschleiß / Ersatzteile. Mousepad mit BMW X6 Motiv. Wir sind BMW / MINI Vertragshändler! BMW i8 Computer Mouse. - In BMW i8 vehicle design, active front and rear lights during operation. - Wireless with integrated device for holding the receiver. 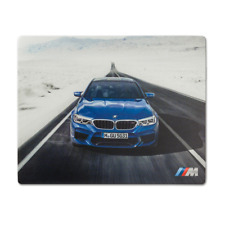 Take your computer mouse to the max: mouse pad with BMW M5 motif. Made in Germany. BMW M Mouse Mat. - Picture of the BMW M5 and BMW M logo. BMW OEM Part Number : 80282411121. NEW 1x Genuine BMW Mouse Pad X6 F16 M. This mouse pad has ergonomic corners and a color print of the BMW car. New BMW New Collection ! " alt="" width="996" height="137">. A classic for your workplace: BMW mouse pad made of durable material featuring an exclusive BMW M1 print, BMW logo and rounded edges. 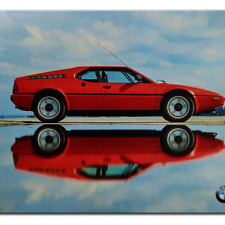 - With high-quality BMW M1 print. BMW Mouse Mat. Material: Super-soft foam, plastic-coated surface. Genuine BMW i8 Mouse. Genuine BMW & MINI Parts. Wireless connection - no cables! The front and rear lights are illuminated by LED's when the mouse is in use. Picture of the BMW M5 and BMW M logo. We will notify you if the dispatch date is longer than expected. We are the leading online supplier of new parts. KOOLART MOUSEMATS. KOOLART - BMW M3 CONVERTABLE. None of the images on this site are endorsed by any such motor manufacturer and Koolartdo not portray there images to be endorsed by any such manufacturer. Of Koolart Kars and Koolpetz products. None of the images on this site are endorsed by any such motor manufacturer and Koolartdo not portray there images to be endorsed by any such manufacturer. Quality Fabric Mouse Mat. Genuine 2018 BMW X6 Mouse Mat. Part Number 80 28 2 411 121. 250x190x6mm natural rubber mouse mat with cloth surface. Digitizing service available. Anti-Slip Computer Mousepad -. It`s just an imitation print on the mousepad! THE BOTTOM PART OF THE MOUSEPAD IS MADE OF RUBBER TO PREVENT IT FROM SLIPPING ON YOUR DESK!